Feather represent many things including, ascension, the dove, return to consciousness, the feather quill pen as our reality was written by Thoth the scribe who stands with a feather-quill pen. We approach the final chapter and the grand finale. 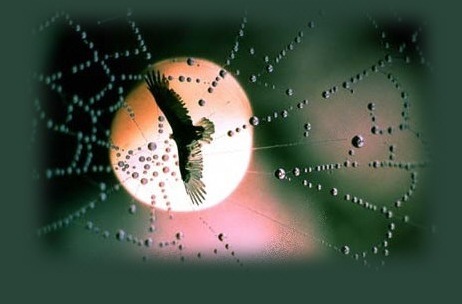 Many of us will discover strange patterns involving birds and feathers, which will act as triggers of awakening. Today, I walked across the street to get a few things in a small grocery store, here in Brooklyn, NY. I live in Bay Ridge at the foot of the Verrazano Bridge. My apartment faces, the water, a huge park, and the bridge, which looks like a giant tuning fork. Since December 2002 white pigeons seem to appear everywhere. As I approached the grocery store, I noticed a gray and white pigeon feather on the ground. It reminded me that I had been seeing lots of feathers wherever I went recently. My life seems to run in phases where I suddenly find feathers everywhere for days, and nothing for a long time after that. But today was different. We know feather are a symbol for ascension, bird headed beings and entities such as Thoth, Isis, Sumerian gods and so forth. I noted the feather as I walked by, then smiled and walked into the store. After I left the store, I noticed something unusual, a white feather was lying on the ground just outside. I smiled and started to walk across the street. Then something bizarre happened. A path of white feathers lay before me as I crossed over. They were one after the other, about 4 feet apart. They ended at the front door of my building. I generally have no specific place that I cross the street. I walked back to see if the white feathers were randomly scattered about, but there were none other than those that seem to guide my way home. Suddenly I remembered something I had not thought about in a long time. For years I had another guide besides Z. His name was white feather. 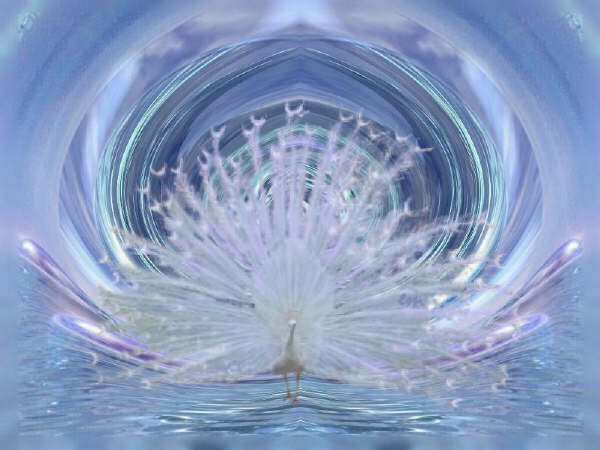 His image 'flew' into my mind - a Native American, about 60 years old, wearing a full headdress with white feathers, who said very little, protector and healer. I closed my eyes and quickly saw my brown horse, symbolic of my life path here. He was jumping over a hurdle and landing happily in a body of water, creation. Hopi Prophecy, by White Feather a 20th Century Hopi Elder of the Bear Clan. The time of prophecy is Now. Wednesday evening ... My friend Pat told me an interesting experience she had this afternoon. While visiting the acupuncturist, and relaxing on the table, she thought about my experience with the trail of white feathers. When she left the doctor's office, she discovered a trail of feathers from the front door to her car. This image is a mirror as you can divide it vertically. On Thursday evening, August 7th, Z guided me to check on the latest crop formations in the UK. I haven't been interested in them this season as we know they are created by people and have been labeled landscape art. 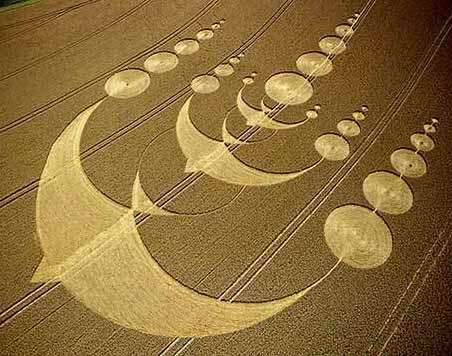 I went to Crop Circle Connector website and was surprised to find the bird formation above. It was discovered on Monday, August 4, 2003, but was set down on Sunday August 3, 2003, the day I had my bird experiences. When I look at the lower image, I see all of the birds merging into the large one on the top, like it is a giant Mother Ship into which the small UFO's are returning after a journey of exploration. 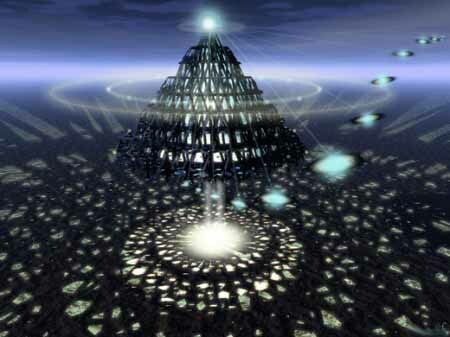 the top of the ship is a pyramid of course as 3D is created by pyramidal energies. Saturday, August 9th , as the bird saga continues .... My daughter Nikki, her husband Ryan, and 10 day old Matthew came to visit me today. As they arrived, I left my apartment to help them with their things. Just outside my door, I was surprised to find a small feather, gray and white. It is tiny, as if from a baby bird. I brought the feather back inside and placed it on the shelf next my computer. I have no idea how it could have gotten there as I was the only one in that part of the hallway corridor. An hour before my family arrived, I had gone downstairs to get the mail. There were no feathers anywhere, nor any way I could have gotten one stuck to my sandals. Yet there it was, and so small. Later in the day, we decided to order Chinese food, actually we ate Sushi, from the restaurant in my building. After dinner, we opened the fortune cookies. My cookie said, "Birds are entangled by your feet and men by their tongue." What does that expression mean? I wondered. The bird is sometimes the symbol of the soul. 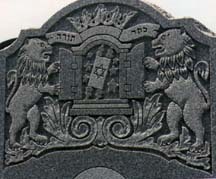 The Lion, Crown and the Torah all represent Zoroaster, Z.
I was doing a psychic reading while seated on my couch. Something drew my attention to the large skylight above me. There were two pigeons on the roof walking around the sky light. I watched for a moment thinking they would fly away, as they generally do. They do not nest on my roof. But these two pigeons, not white ones, never left. They walked around the square circumference of the skylight, counter-clockwise, and appeared to be eating something on the edge of the skylight as they walked. One followed the other. But there was nothing to eat. They did this the entire hour of the reading. On another bird note, I went to buy bathroom Dixie cups. I generally don't care what pattern the 3 oz. 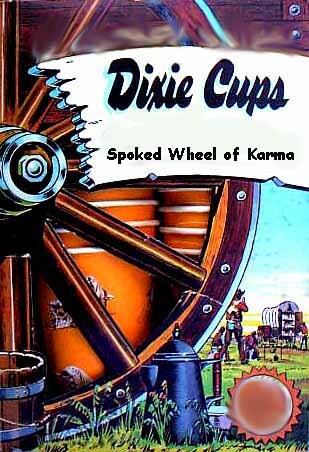 cups have. I just take any box from the shelf. As I grabbed a box, I did a double-take. To my surprise the pattern was two baby blue birds. Z insists I mention the Quetzal Bird, which takes us to the Aztec, god Quetzalcoatl , a serpent god who is supposed to return at the end of the game. Quetzalcoatl, a Plumbed Serpent; god of knowledge and the priesthood, which takes us to Egypt and the Phoenix and Thoth. A client from Florida came to New York to see me after he lost his mother to cancer last week. The man was a black male in his early 40's. Before he could say anything, his mother was here bringing all sorts of messages. It was a very emotional reading. As the reading continued, she said, "I am going to fly by the window now, as a white pigeon." No sooner said than done. We both looked at the sliding glass doors as a white pigeon flew up to us, paused, then flew away. Other clients also report a link between those who have crossed over and birds of some kind. The birds are bringing messages. Lately, I and some friends of mine have been experiencing visits from birds, whether it be knocking on screens in bedroom window, or patio doors, seeing birds fly way lower than normal, we have to stop or turn our cars not to hit them. Where I live, there is also a bird or several birds making the same sound night after night, for months now, they seem to be circling and occupying the same area, I am never able to see it or them, (don't know what it is). Another phenomenon, some friends and I who don't live in the same city, (Montreal Canada) have also seen for the last couple of months is, many small animals killed on the streets and on the highways...way more than usual! 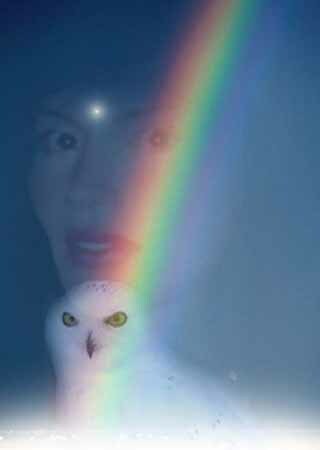 she found her power animal, who had white feathers. after a strong summer rain, then Annie sent the image. I went for acupuncture today. During the treatment I was thinking of your white feathers. When I left there was a trail of feathers starting right outside the door of the office to my car. I just had to just laugh. When I got home I went to Ellie's World and did the pendulum meditation. [See below]. Another synchronicity ...the Kachina figure on the Hopi picture is the one I bought in the Hopi nation three years ago and sits where I can see it as I am on my computer! On the way to work, a tiny bird flew right in front of my truck � just like a dolphin swimming in front of a boat. The bird disappeared after about a block, so I stopped to see if I hit it and if it was stuck in the grill of my car. I guess the bird escaped with no harm. That had never happened to me before. Just a few miles up the road on the freeway, (still on my way to work), got behind a truck carrying 5 HUGE silver cylinders. I wondered what they were for � not wine or beer I thought, since 4 of the 5 had an angled bottom. 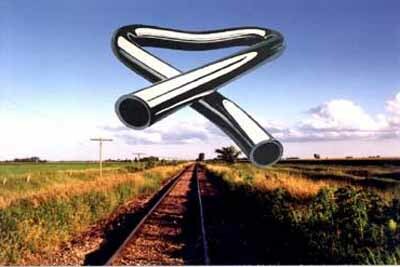 They made me think of tubular bells, for some reason, which reminded me of my music box dream, with the elongated Abe Lincoln in the shop of boxes (very tall and his hat was a very tall stove pipe hat). 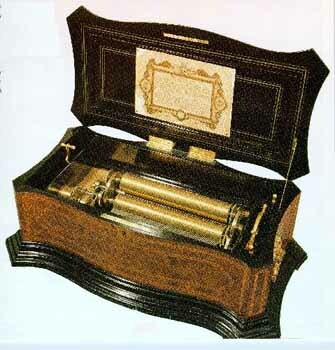 The song "Tubular Bells" played on every music box simultaneously � each music box was exactly the same � mahogany, or some highly polished dark wood. They were all rectangle and the exact same size. It was a very mystical dream to me. Very strange, yet I was so enchanted by the music, I wasn�t scared. I had the dream sometime after the "Exorcist" came out (the theme song was "Tubular Bells" � I was too young to see the movie, but the song was played on the radio � I thought the song was magical). If the movie came out in 1973, then I had the dream at age 7, however, I keep thinking I was actually 10 or 11 when I had the dream. As I followed the truck with the cylinders, a huge, hawk flew right in front of me. It was beautiful. I could clearly see his/her eyes and even the nostrils on his/her beak. It seemed to slow down time I was able to notice so many details of the bird. I couldn't believe how close he/she came to my windshield! The bird flew across the freeway unharmed, even though it flew so low. Feathers have also appeared here and there, seemingly out of nowhere. One in particular was a very large white feather. It appeared at the bottom of a flight of stairs outside my husband's office as I was leaving. I left it there for someone else to find. A few moments later a construction worker walked by and picked up the feather and put it in his truck. I thought it was interesting because the man looked so "macho", not one I would expect to pick up a feather and save it. 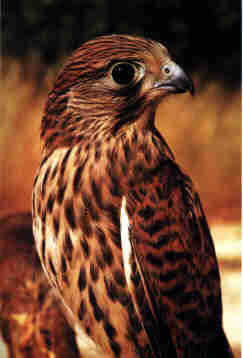 The Hawk is Horus- back to rebirth. I too find feathers. I found white feathers in the log house we bought on the shore of a nearby lake. I found so many that I realized the guardian spirit of the house was named "White Feather" but I thought the spirit was feminine. I have devoted an entire wall of the house to my Native American collection and have a tribute to the White Buffalo Calf and White Buffalo Calf Woman along with a quiver and arrows from South Dakota. I have several items like a Red Feather Kachina from Sedona and some other items made with large feathers. One night I went out of my body while sleeping in the house and was shown what my wall looked like on "the other side." The wall was glowing but the items were a bit different. One thing that changed was in the center was a "War Shirt" in white and red. It was very exciting to see it. We have many Native American spirits around the property since it is near Mammoth Cave Park in Kentucky. I am from the Netherlands. Since the year 2000 I have been collecting feathers. I do not know why, however I know that it is important. Yesterday I was in my garden standing near a fence I wanted to paint, when I looked up and saw something falling from the sky. One single white feather fell. No bird was to be seen. I held out my hand but I did could catch it. I wanted to let you know that apparently the phenomena you are talking about is occurring on a large scale. Recently we visited a seabird rescue sanctuary and I was surprised that the were no feathers on the ground and very few in the cages. I assumed that the attendants had just cleaned the cages so on the way out I asked if I could have some feathers. He told me that the state of Florida had made it illegal to possess sea bird feathers. As I walked to the car two fluffy white feathers came into my path and now they on my altar. Thank you for the info about others' experiences. I live in France, near the countryside by Versailles, in a place full of trees and beautiful nature. Each year, in August, just outside my windows on the fifth floor, I have watched thousand of birds flying all around the area. The birds would stop for a couple of hours on the four huge trees whose branches formed a kind of a dome. They would remain there for a while and then fly away. This summer things have been different. The birds arrive, in thousands, and remain on the trees. Every day they arrive by 7 pm and make such a noise all night that sound terrifying. It has been 4 weeks they are doing this in the trees here. It's like that are in trouble or announcing an event of some kind. Each morning at 4 a.m they fly away. I have come across white tiny and fluffy feathers in recent days... as if falling from the sky. I always pick them up and put them in a purple crystal vase. On July I went to Mexico City, my homeland. I spend one month at my parent's house. The night before my departure, under the door of the bedroom, a baby's bird feather came in the bedroom, finding its way under the door that gives access to a terrace. It was so great. Certainly I kept the feather. One week ago, here in France, I saw a dead body of a bird, all smashed in pieces, while I was crossing a bridge... I got so scared! To me birds had always been a kind of messengers and reading your articles showed me that I was not wrong. Every time I go walking through my neighborhood, there are a couple of blue-jays following me... jumping and flying around me as showing me "the way". I've been reading about your experiences with feathers and birds. I live and work in a warehouse in Chicago and during the summer we keep the back garage door open to our garden--it's like having the outside inside. Cats occasionally wander in. Yesterday a single sparrow walked in three different times during the day. When I stood up to see it and ask if it had a message, it flew out. This morning the same bird flew in and landed on a book proposal I've been writing. I asked if it had a message for me (silently begging it not to poop on my proposal!). It hopped onto my computer and my partner's computers and then flew out--easily, as though it knew the way. Just went outside to cut some roses and the same bird was waiting for me. I'm sensing these visits are reason for optimism. I have seen feathers for the longest time, and for awhile I was picking them up and keeping them. Then for some reason I started putting them back out in the nature. They were mostly black feathers in different sizes. On Tuesday , I was out on the golf course , and when I got up to the first tee box. There were some feathers there, white ones. It almost looked like a white bird had fallen prey to a cat. The further we got on the golf course the more white feathers we saw. It was white feathers on every hole, every size. On some holes, it was between 50-100 white feathers. Needless to say I played my best golf game ever. I love your web site and I read it everyday. Robert Peres, Calgary, Alberta, Canada. Just south of Edmonton. When I got home from work today, I went to my backyard to check on my dog. As I was walking back to the house, a white pigeon swooped down in front of me and brushed my head with its wing. It landed on a limb of a tree and sat there staring at me. It was beautiful. It was all white, with a black ring around its neck. I have never seen a pigeon like this. The ring around its neck was perfect, like it had been painted on. I whistled at it and asked for it's name and twisted its head back and forth. We stared at each other for several minutes before I said good-bye and headed back to the house. Just then, it came out of the tree and circled around me at eye level. It flew to the wooden fence that circles our property. I went to the fence and the bird just sat there, staring at me. I knew it wasn't frightened or bothered by my presence. I tapped my fingers on the top of the fence, about 12-inches from where it stood, and it moved down to where I had tapped. I stuck my hand out and it climbed on to my finger. At that same moment (go figure!) my dog jumped on the fence and scared the pigeon away. I had to jump right online, because I knew there would be something special on Crystalinks about white birds.